Park Shin Hye’s outstanding musical talent can be traced back to her genes. The actress, who will star as Lee Kyu Won, the descendent of a famous Pansori (a genre of traditional Korean music) family in MBC drama ‘Heartstrings’, is revealed to share the same musical talent as her character in real life. According to officials of the drama, Shin Hye’s father, apart from his current job, owns an applied music studio in Pungnap-dong, Songpa district of Seoul. The 20-room large scale music studio is equipped with pianos, guitars and other musical instruments. Shin Hye’s father is a ‘pro’ saxophone player, and her mother plays the ocarina flute. Park Shin Hye’s elder brother is the guest vocalist of guitar group ‘나무자전거’ (Wooden Bicycle). When Shin Hye was filming her previous drama ‘You’re Beautiful’ (2009), he gave her useful advice in both guitar playing and singing aspects. He is a student of Seoul National University of Arts’ applied music program and is currently on leave serving his military term. ‘Heartstrings’ is a drama with students at an arts university as backdrop. It is a drama about singing, dancing, acting, love and friendship. Filming will start on May 15 and the first episode will be aired on June 29 2011. Such a musical talented family!!! park shin hye really rocks!!! You have at least one fan here in the United States!! Me. I just love the Korean culture that I get to see at least a glimpse through the music and television shows. Maybe one day I will actually be able to go to Korea. 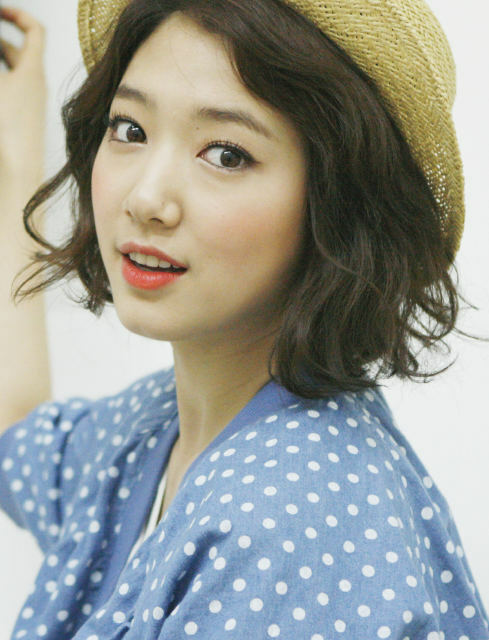 Infact Park Shin Hye is my one and only SKorean female star. Love her acting and dancing to bits. She is a joy to watch. She has an angel voice, only she has to choose her songs carefully. She sings "without words" "Lovely Day" "Black Pitch" wonderfully, the songs suit her vocal. She needs to learn the technique to sing well though. Park Shin Hye is a treasure of Entertainment Industries of SKorea, just like her best friends Jang Keun Suk, these two are already the most Googled and talked about stars.